Get stronger, leaner or bigger with Fitbod! When you hit your gym or living room, Fitbod's innovative training algorithm will guide you through the right sets, reps, ​and weight to reach your fitness goals. To build your custom-fit workout, Fitbod’s powerful technology understands your strength-training ability, studies your past workouts and adapts to your available gym equipment. Between workouts, your training plan will maximize fitness gains by intelligently varying intensity (weight) and volume (sets/reps) between sessions. No muscle group is left behind in your personalized training plan. Fitbod keeps your gym sessions fresh and fun by mixing up your workouts with new exercises and maximizing the use of your available equipment. ◆ Attain strength-training achievements as you reach your personal exercise records. Heroic performances happen all the time, and we wanted to recognize them by showcasing your personal bests as Fitbod Achievements. ◆ With Apple Watch, see your training plan at a glance, easily track your progress and stay focused while at the gym. ◆ Get workouts that match General Conditioning, Strength-Training, Muscle Tone, Bodybuilding, Powerlifting or Olympic Weightlifting. ◆ View your workout impact on a body heat map. ◆ Calories burned for each workout. ◆ Individualization - Superior results are achieved by tailoring the workout program to your unique body, experience, environment and goals. ◆ Balance - Muscles improve when working in concert with the entire muscular system. Overworking some sets of muscle while underworking others can negatively impact results. Fitbod designs well-balanced workout routines. ◆ Variation - Mixing up muscle groups, exercises, sets, reps and weight over time serves to strengthen the musculoskeletal system and keep the body sharp. Sync your Fitbod workouts with Apple Health (activate in Fitbod Settings -> Connected Apps). Become an Elite member to unlock unlimited logged workouts. Payment will be charged to your iTunes Account at confirmation of purchase. Subscription automatically renews unless auto-renew is turned off at least 24-hours before the end of the current period. Your account will be charged for renewal within 24-hours prior to the end of the current period at either $9.99 per month or $59.99 per year. You can manage your Elite subscription by visiting the iTunes Account Settings after purchase. Any unused portion of a free trial period, if offered, will be forfeited when you purchase an Elite subscription. New in Fitbod: Stretching, Warm-Up/Cool-Down Routines, and Resistance Bands! • Turn on Warm-Up & Cool-Down routines in the Workout Tab > Your Gym > Warm-Up & Cool Down. The routine will prepare the target muscle groups in your recommended workout. Also, you can now share Gym Profiles with other Fitbod users. • In the Gym Profiles screen (Workout Tab > Your Gym), a Share Icon in the top-right allows you to send either your Gym Equipment Settings or entire Gym Profile Settings to another Fitbod user. The recipient will be able to save your shared Gym Profile to their account. • Add Landmine, PVC Pipe and Foam Roller to available equipment list. • Sync manually added past workouts to your Strava account. • Added: "Share your success story with us" button in settings. • Hide log all button on superset log set bar. • Fixed: Users with the Muscle Tone fitness goal were not getting some exercise recommendations. • Fixed: Volume miscalculation for Hammerstrength exercises. Super excited but somewhat sad! I had always struggled with feeling confident at the gym especially with coming up with sound and effective exercise plans for the day during peak gym season. I work 9 hour days and can only hit the gym if I would like during peak night times, and often times I’m struggling up to come up with work out ideas and end up not making the most out of my time at the gym. I think that is where the feature of this app really shine through. I would recommend this app to those who need a little help with creating and tracking their exercise plans and progress! Also, you’re not indefinitely locked into the plan and you can swap/replace exercises if you would like. I believe the best feature is the instruction videos that built right into the app. The achievements after a workout are also a bonus! It’s nice to cheered on. Also, with the help of this app, I really get an idea of what muscles I am working out and I am able to check my form without being super self conscious because of all the instructional video. I was so excited to start incorporating this into my regime and hopefully kickstart myself into consistency. Unfortunately, the $60 annual is a bit too much for me to justify at the moment and knowing what I could save with the annual single payment versus the monthly has me hesitant to go down that route. I suppose I’ll just have to go back to using without until I can budget out for the annual fee. I’ve used this app for one week which granted is not a lot of time. However, it is long enough to see some glaring errors. 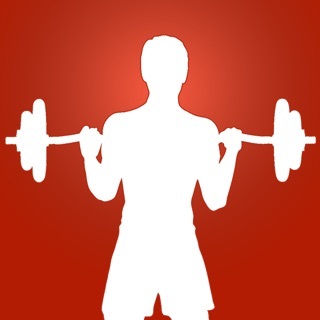 The app has a lot of really great exercises for beginner to advanced fitness levels. There are very good, very clear directions with a video accompanying each exercise to make successful execution quite easy. The problem I have on my iPhone Xs and my Apple Watch Series 4 is that the app on the watch and the app on the phone don’t seem to work in perfect synchronicity. The idea behind the watch app is that you can use it to cycle through specific exercises within a set or superset while your phone sits idle in your pocket. The problem on the Apple Watch app is that you have the choice only to log an entire superset and move onto the next superset despite the fact that you may only be on the first set within a superset. It’s annoying to have to go back to your phone to login individual sets so that you don’t clear out the entire superset and move onto the next exercise. I’ve had this issue every day since using the app. Also and on a more minor note, when setting up the initial free 30 day trial, I had to install, delete, and reinstall the app three times before I was able to begin the free trial. These are just a few examples of how this seemingly very strong app is still a bit glitchy in areas of basic user interface. A little fine-tuning and I would recommend it even at its $10 a month subscription.